No need to tint the beer green with these fun, color changing plastic cups. Once these cups get cold they show off their true colors changing from clear to green. Just add an iced cold beverage and watch the cups transform. Great for serving iced drinks, cocktails, and light beer or pale ale. 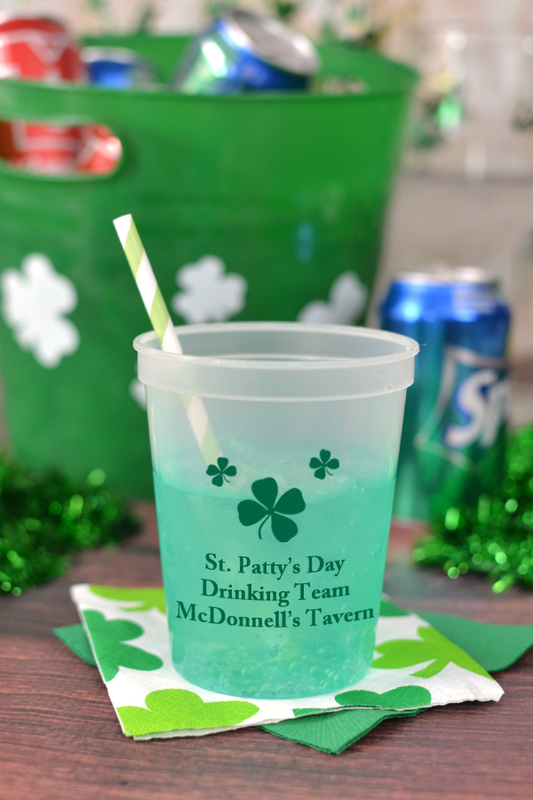 Add a fun twist to your St. Patty's day decorations with these 16 oz color changing plastic cups. These stadium cups are dishwasher-safe and made from thick, reusable, plastic. A wonderful take-home souvenir idea for guests at your St. Patrick's Day party. 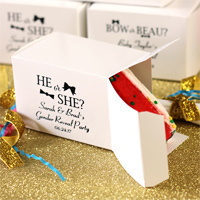 Personalize with an Irish themed design and up to three lines of custom text. The cups are great! We bought them to use year round. For St. Pat's Day the color changing cup was great...made "green beer" easy! Outstanding service. Arrived ahead of time. Highly recommended. Nice to deal with. Thank you so much. the cups were awesome and a big hit. The company was very helpful and supportive. I would definitely order from them again.